Graduated and obtained her MSc and PhD in Biology from University of Belgrade, Serbia. As MSc student she participated in the project of characterization of thiopurine s-methyltransferase gene polymorphisms in patients with acute lymphoblastic leukemia and Crohn’s disease in laboratory for Molecular Haematology, IMGGI, Belgrade, Serbia. In 2003 she moved to Spanish National Cancer Research Centre, Madrid, Spain to work as a PhD student on a project investigating the role of B-Raf oncogene in mouse development and tumorigenesis. 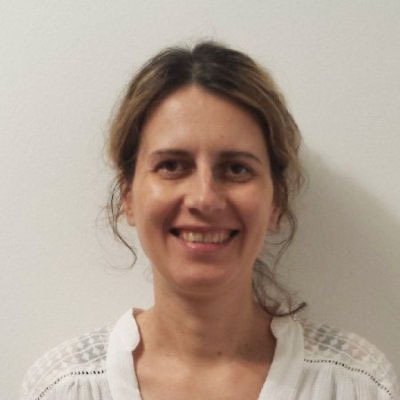 Since 2010 she works as a postdoctoral fellow in Growth control and cancer metastasis laboratory at IRB Barcelona. Her current research is focused on deciphering signaling pathways and molecular mechanisms involved in the process of colon cancer metastasis. For her research she was awarded fellowships from Spanish Ministry of Science and Asociación Española Contra el Cáncer as well as Olga Torres private foundation grant. Member of Spanish Multidisciplinary Group for Digestive tract Cancers since 2010. Member of the 1st and 2nd IRB Barcelona PostDoc Day Organizing Committee. Instructor in the Barcelona BioMed Workshop for high-school teachers “Cancer, Metastasis and Personalized Medicine”.